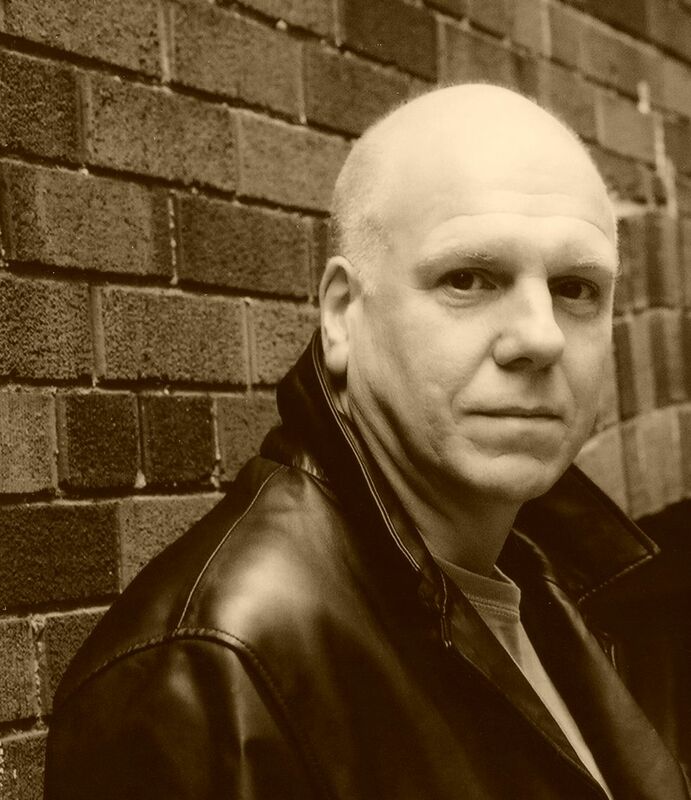 Peter Robinson: I came to writing crime fiction through reading. Lots of it. I started in the early 1980s reading Chandler and Simenon first, then Ross Macdonald, Ed McBain, Nicholas Freeling, Sjöwall and Wahlöö, and before long I wanted to try it myself. Peter Robinson: I'm afraid not. I don't think a great deal of it has been translated into English, and my high school German isn't very good. Peter Robinson: Perhaps, if it gets translated. Peter Robinson: It can be, to a degree. These days crime fiction tends to explore character very well, whereas in much contemporary literary fiction characters are subservient to ideas, patterns of imagery and symbolism or just plain writerly showing off. In that sense, the crime novel is perhaps closer to the Victorian social novel, or the novel of manners, with a dash of the sensational novel tossed in for good measure. The crime is often an excuse or a catalyst, a way for the writer to explore character and society. Peter Robinson: As I said, through reading it. Before I discovered crime fiction I wrote mostly poetry and read that and other kinds of fiction: Thomas Hardy, Dickens, Joyce, Faulkner, Graham Greene. Peter Robinson: A poisoned condom. Peter Robinson: Probably. Fine crime stories have been written without murders, but not very often. As I think W.H. Auden said, everything else can be restored, but once a life is gone it can't be recovered, so someone has to account for, or explain, what happened. Peter Robinson: I can't imagine not writing. I've done it ever since I was a little kid, filling notebooks with stories and illustrations. On a deeper level, I suppose I think I have something to say, something worth communicating. At the very least, I hope I can entertain my readers. Peter Robinson: Yes, for the most part, though I am interested in exploring the recent past and have done so in a couple of novels. "In a Dry Season" has sections taking place in a Yorkshire village during the Second World War, and "The Summer that Never Was" has flashbacks to 1965. I have also written short stories set in the Victorian era. Peter Robinson: Usually for me it's Yorkshire, though some of my short stories are set in Toronto, Florida and California. When I first started the Banks series I hadn't been living in Canada very long and I wanted to write about Yorkshire perhaps as a way of maintaining a connection with my homeland. Now I go back at least twice a year for research. Peter Robinson: I wouldn't be without them. Nor would Banks. In the book, many interviews and conversations take place over meals or drinks and it's a lot of fun to describe what people are eating. That said, though, Banks isn't much of a cook, and he eats far too much junk food. Peter Robinson: I think it's wise to stop before you get into describing the act itself. Not that I've always done so, but I would have been wise to! Peter Robinson: It's a hard act to describe without falling into the trap of overwriting and sounding very silly. Peter Robinson: There is crime written by females and crime in which females are detectives. They're not necessarily the same. Quite often women write about male protagonists and men write about women, though they sometimes get into trouble for doing so. I'm not sure that there's any specific sort of "female" crime, though women are less likely to be serial killers or sexual predators that men are. They are also probably less prone to violence in general. Peter Robinson: I write the kind of books I would like to read. That may sound like saying I write for myself, but the kind of books I like to read are also read by thousands of other people, so I think it's not a bad idea. Peter Robinson: I just set things in motion and pray that today I'll come up with an idea about what to do tomorrow. Peter Robinson: I do make notes, but they're very scattered and haphazard. Ideas can come from anywhere – reading, eavesdropping, thinking, dreaming, travelling. Anywhere. Peter Robinson: Usually in my study, a small upper room with lots of desk space and books all around me. Peter Robinson: No. It encourages me to revise. I used to write a very fast first draft, then another, then another, and so on. With a PC, if I make a change that affects other parts of the book, I revise those as I go. Working this way, the draft takes longer but it's much closer to a finished version. Peter Robinson: "Black Beauty", because one of my earliest memories is of my mother reading it to me in bed. Peter Robinson: That's harder. Perhaps "Tess of the D'Urbervilles". Peter Robinson: As well as trying to keep up with my contemporaries, too many to name, I do read quite a bit of older crime fictiion and I'm still very fond of Raymond Chandler. I like Paatricia Highsmith, too. Peter Robinson: It's a tie: "Chinatown" and "The Third Man". Peter Robinson: Yes. I have a few favourites and specialities. Nothing too fancy, but I can do decent curry, steak, tarragon chicken, pasta and stew. I'm not much good at pastry or desserts. Peter Robinson: Often. We have a number of restaurants close by, so it's usually a choice between Italian, Greek, bistro, pub grub, Japanese or Thai. For special occasions there's a restaurant in Toronto called "Susur's", which offers a spectacular tasting menu matched with wines. Q: Soccer / Football – is this a topic for you? Peter Robinson: Unfortunately my team, Leeds United, got relegated at the end of this season, so let's not talk about it! Peter Robinson: My wife. And socially I enjoy the company of both men and women. Peter Robinson: My wife, books, music, travel, wine, the ociean, the Yorkshire Dales, spring. Peter Robinson: Deceit, phoneys, pretension, lies, violence. Peter Robinson: Can't remember, but I usually scored high in English. Peter Robinson: Algebra. I never could figure out how you could add, divide or mulitply letters of the alphabet. Peter Robinson: What I'm doing right now, only I'd like to have as much time as I want to write a book. Peter Robinson: Haven't a clue. Just a nice, polite guy, I guess! Geboren 1950 in Castleford, Yorkshire (Großbritannien). Nach Erlangung eines B.A. in englischer Literatur an der University of Leeds, wanderte Peter Robinson nach Kanada aus. Peter Robinson ist verheiratet mit Sheila Halladay und lebt in Toronto. Sein Serienheld Detective Chief Inspector Alan Banks begeistert seit seinem ersten Auftreten 1987 die Leser. Im (fiktiven) ländlichen Swainsdale ermittelt Alan Banks – bereits zum 14. Mal. Und auch in einigen der Kurzkrimis taucht Alan Banks als Ermittler auf. Für Musikfreunde unter den Fans von Peter Robinson resp. Alan Banks lohnt der Besuch von P. Robinson's homepage allein schon wegen der dort aufgeführten ausführlichen Liste der Musikstücke, die Alan Banks im Auto oder zu Hause hört. Peter Robinson kann eine beachtliche List von Auszeichnungen und Preisen vorweisen. Seine Kriminalromane und Kurzkrimis wurden mit den renommiertesten Krimipreisen ausgezeichnet, die in Frankreich, Großbritannien, Kanada, Schweden und den USA vergeben werden. 1990, Arthur Ellis Award for Best Short Story: "Innocence"
1991, Arthur Ellis Award for Best Novel: "Past Reason Hated"
1994, TORGI Talking Book Award: "Past Reason Hated"
1995, Author's Award: "Final Account"
1996, Arthur Ellis Award for Best Novel: "Innocent Graves"
1998, Macavity Award for Best Short Story: "The Two Ladies of Rose Cottage"
1999, Anthony Award for Best Novel: "In a Dry Season"
1999, Barry Award for Best Novel: "In a Dry Season"
2000, Arthur Ellis Award for Best Novel: "Cold is the Grave"
2000, Arthur Ellis Award for Best Short Story: "Murder in Utopia"
2000, Edgar Award for Best Short Story: "Missing in Action"
2001, Le Grand Prix de Littérature Policière: "In a Dry Season"
2002, Martin Beck Award: "In a Dry Season"
2003, Spoken Word Bronze Award: "The Hanging Valley"